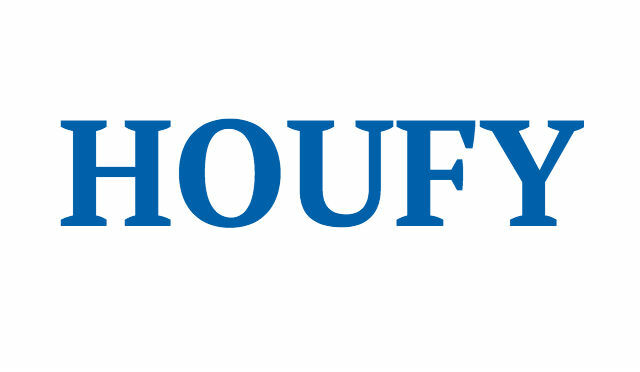 To follow Ana Chira, please log in to Houfy or create an account. Villa Diana is our new own holiday home, a bright fully air-conditioned home, a luxurious accommodation in one single story with 4 bedrooms and 4 bathrooms with private pool, situated in the very peaceful and beautiful community of Vizcay. It is 15 minutes away from the attractions of Disney World and less than an hour's drive to the beautiful Florida beaches of Tampa and Daytona. The villa is spacious enough for the largest of families (or two families) accommodating up to 9 people comfortably in its four bedrooms for less than you pay for a hotel and with privacy and amenities of this villa you will have a much better time. This is our own luxurious holiday home - not your usual vacation home furnishings! With all furnishings and decor, beddings, appliances, tvs, laundry, wood floor, game room, villa Diana is our beautiful vacation rental home. Our home is elegant furnished and decorated, modern equipped to a very high standard with everything you will need to have an enjoyable and relaxing stay in Florida. •	the TWO MASTER BEDROOMS have one king and one queen bed, respectively, are equipped with 32 inch LCD tv’s with SMART Blu-ray/dvd player where you can watch channels and enjoy. •	specifically the king master bedroom has a beautiful walk-out to the pool, where you can enjoy the view sitting in bed and watch the kids play in the pool without any worry. •	the third bedroom has a double bed (2 people) and the fourth bedroom has two twin (1 person) beds fitting perfectly for children or single guests. These two bedrooms share a washroom equipped with walk-in shower. •	all bedrooms have HIGH-QUALITY MATRESSES so you can rest better and enjoy your vacation to the fullest, along with walk-in closets and furniture to store your things. The large and open-concept FAMILY room with its vaulted ceiling and large sliding doors with direct access to the pool make the interior light, spacious and airy. This is ideal for the whole family to relax together with a 55-inch LCD HDTV, smart Blu-ray/dvd player, and sound system (access to ipod) and oversee the kids playing in the pool. Together with the large couch accommodating 8 people, you have the opportunity to relax and enjoy for a perfect getaway in the Florida sun. •	accommodating the 9th guest is a comfortable pullout ottoman-sleeper in the living room. The formal living room and dining room offer additional space and have modern and elegant furniture seating for a large group of people (8). •	there is a half bathroom with DIRECT POOL ACCESS that is very convenient for a quick washroom break. For those who like to COOK on holiday, there is a fully equipped KITCHEN with microwave, refrigerator with ice maker, stove with oven, dishwasher, coffee maker, water filter, toaster, cooking pans/pots, cutlery set and breakfast counter for sitting of 2 people. For those who don't, there is a selection of restaurants nearby. Stepping outside, the guest is treated to the spacious deck area with an extra large southwest facing PRIVATE POOL and no rear neighbors to restrict your privacy with all day sun on the pool and spectacular sunset views. The deck is also fully screened to keep away all insects and animals leaving you free of worry to enjoy your relaxing time by the pool. The pool is equipped with underwater lighting for your nighttime pleasure optional heating is available when requested. Also high quality patio furniture is provided for you to relax around the pool and it enjoys the villa. Fencing around the pool is available at your need to protect small children from danger. Not too many of all villas in Orlando have the combination of southwest pool exposure and NO REAR NEIGHBOURS and it makes a huge difference to your enjoyment of the villa. Our villa is one of the few that can offer this advantage. •	use of all bed linens and bath towels are provided free of charge. •	an electronic door lock keypad makes easy entry to the house with an instant access at a time to suit you! •	there is a gas BBQ grill for dining and there is a games room with a pool/tennis table. •	FREE WIRELESS (WIFI) is provided and all local telephone calls are free within the US and Canada. •	Villa has a wireless SECURITY system. •	Bright House premium CABLE package with about 300 channels (digital, high definition and music), so if there are sports events or a tv show you want to keep up with, you should have no difficulty finding it here. Booking a holiday at our vacation villa is safe and easy. You can be assured that there will be no bad surprises in your accommodation during your holiday. We try to keep it as clean as possible for everyone! Our home is locally managed by a friendly caretaker who takes pride in ensuring that our home is both clean and kept up to our high standards ready for you to enjoy your vacation without any hassle. Nothing is too much trouble and they he is on call 24/7 to attend to any issues that may arise during your stay. We take your enjoyment seriously and we will do everything we can to help your family make great memories during your visit to the Orlando area, Walt Disney World, the theme parks, or everything else that our Diana villa has to offer. Villa Diana has EVERYTHING you require for a wonderful stay to either rest or play! Spend some RELAXING TIME in your own private pool! Indulge yourself and live the good life! • Pool heating is available for $25 +tax per day. • Rates are subject to change until booked. Rates quoted on this site are approximations - call or email us for an exact quote.We love to speak with our guests! Pool heating is available for $25 +tax per day.